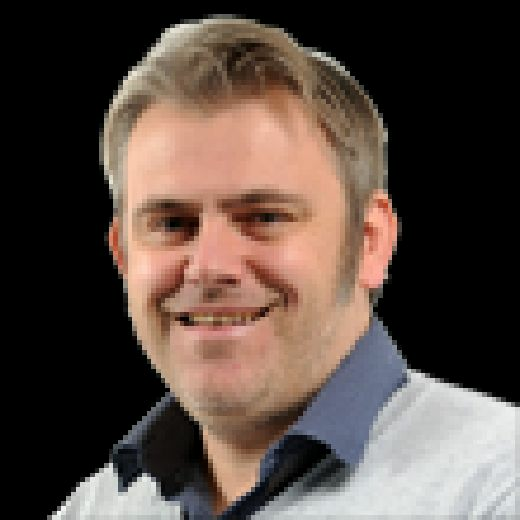 That phrase held a certain resonance on Saturday as a Barnsley side led by a German-born head coach in Daniel Stendel celebrated a golden, if fortuitous, victory which possessed all the hallmarks of a team destined for glory – unashamedly forgetting most of what had preceded Jaocb Brown’s joyous late moment. Finding a way and getting over the line regardless of challenging circumstances was the German modus operandi on the football field from Beckenbauer to Brehme, Breitner to Bierhoff. Much closer to home, Stendel’s Barnsley are now proving highly proficient in that regard. Second-best to a gallant Walsall side who threw plenty at them, the second-placed visitors persisted and were gloriously rewarded in the second minute of stoppage-time; a moment which may well define the Reds’ season. The redemption song was fittingly delivered by Brown. Exactly three weeks on from being bailed out by his team-mates following his first-half dismissal in the televised win at Southend, the young Tyke took personal responsibility on his TV return from suspension when he rammed in Barnsley’s delicious winner. In at the death: Jacob Brown is congratulated for his late winner. Away fans spilled onto the pitch, while Stendel and his coaching staff man-hugged and high-fived following the sort of moment which makes professional sport so rewarding. On Saturday’s pivotal moment, Brown, part of a Reds side who extended their unbeaten League One sequence to 19 games, said: “I do not really know how to sum it up, to be honest. “It was not the best game from all of us but to score right at the end; I cannot explain. “It was a massive game and to get three points is big. Getting the win is all that matters. We never give up. With Sunderland not playing, we needed to win and it puts a lot of pressure on them. It was a massive game and to get three points is big. Getting the win is all that matters. We never give up. With Sunderland not playing, we needed to win and it puts a lot of pressure on them. “After the goal, everything just went crazy. I took my top off and was going to run into the crowd, but they had already run into me! It had to be Brown and it had to be at Walsall as well. After booking a play-off trip to Wembley in this corner of the West Midlands at the end of 2015-16 and sealing a top-six place on the final day of the 2005-06 campaign, the Banks’s Stadium again proved benevolent for Barnsley. Those two campaigns ended in promotion and should the Reds finish the job this season, then this episode will be recalled. Luck played its part, although in the final analysis, there is nothing lucky about keeping seven clean sheets on the trot, something that Barnsley previously achieved in April, 1955. It represents part of a haul of 20 shut-outs so far in 2017-18. The last time that a Barnsley side achieved that was in 1984-85 under the late Bobby Collins, a season when those in red showed strength in adversity amid the backdrop of the ‘Miners’ Strike’. The current Barnsley side required that grit on an afternoon when a relegation-threatened Walsall side, mindful of the fact that they would have jumped up a staggering eight places in the table if they triumphed ahead of the 3pm kick-offs, ripped into them. 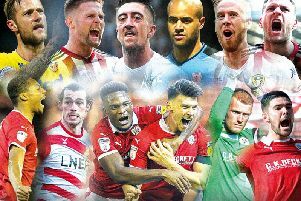 With speed and intent on the break, chiefly manifested by the fleet-footed duo of Zeli Ismail and Corey Blackett-Taylor, Barnsley beat a retreat for much of the game. Yet they did not buckle. Josh Gordon was off beam with a good early chance, with effervescent Saddlers captain George Dobson also blazing over an excellent opportunity as Barnsley toiled on a tricky surface. Fortune also favoured the Reds early on when a blistering effort from Isaiah Osbourne was ruled out after an earlier foul, with the visitors’ best moment coming when Liam Roberts parried Mamadou Thiam’s rasping drive. On the restart, the vim and vigour continued from the hosts but resolve was not in short supply from those in visiting jerseys. It was exemplified when Ben Williams, given a torrid time by Ismail in the first-half, made a remarkable goalline clearance to deny Blackett-Taylor. Others stepped up as well. Jack Walton, making his first league start since mid-October with Adam Davies on international duty, made key saves to thwart Gordon and Ismail, and the majestic Ethan Pinnock again proved a redoubtable bulwark. All the while, the impression remained that Barnsley may just punish Walsall’s youthful line-up. It almost arrived when Cauley Woodrow gave the home rearguard the slip, only for Roberts to make a point-blank save. Then the moment came when Brown kept his composure to steer the ball low past Roberts after his initial effort was blocked from Alex Mowatt’s astute assist.